I started a book club a year or so ago. 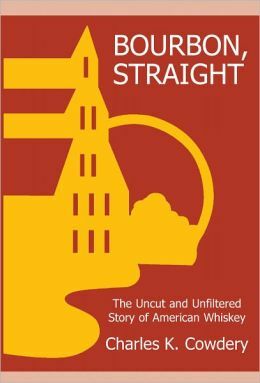 The first book we read, which was instrumental in getting all parties to agree to join the club, was Bourbon, Straight: The Uncut and Unfiltered Story of American Whiskey by Charles K. Cowdery. If you’re a fan of bourbon, its a must read. I’d describe the book as a history of bourbon and the bourbon industry. It also includes instructions on how to taste bourbon, and reviews of specific bourbons at the end. Mr. Cowdery also has a blog, and a documentary. He also puts out a newsletter, “The Bourbon County Reader”, which I get sent to the house. I highly recommend the book. I’ve been thinking about taking a road trip to bourbon country. If I do, I’ll be sure to reread Bourbon, Straight so I can ask the right questions, and get the most out of the trip. And while we’re on the topic, I do a lot of my alcohol shopping at Magruders. In Virginia, we have state run ABC stores, so a quick run into DC can yield me much better prices, and a different selection. Blantons is usually a few bucks cheaper than in VA, and VOB, which is unavailable in VA, is about $19 for a handle. ***Update on VOB age statement here. First, thanks for link to the blog. I read through your post of VOB and your hope that it doesn’t change will probably be met with disappointment. Back in 2009, Buffalo Trace dropped the age statement for Old Weller Antique from 7 year to NAS (No Age Statement). When I picked barrels from them last April, the best they could roll out was 6.5 year old barrels. This year they’ve told us 7 year when I return this April. Bourbon demand is way up and in order to meet demand, distilleries must adjust either proof or age and in some cases, they do both. If you can still fine the age stated VOB, better grab another bottle or three. Thanks for the heads up. I’ll try to stock up. I just saw your post about cigars. I couldn’t agree more. I didn’t realize you were also from the DC area. After finding out, I read all your A Smith Bowman posts. Pretty cool.